With 270 cumulative years of experience litigating a wide range of complex cases for our valued clients in criminal defense and almost every other area of the law, the attorneys at Rubin, Glickman, Steinberg, and Gifford offer the skills and resources to handle your most challenging legal matters. 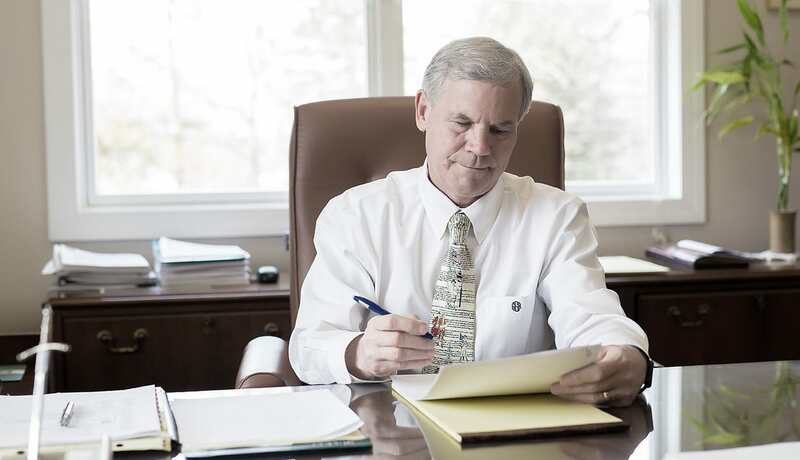 For over 65 years, we have provided nationally recognized legal services to clients throughout Southeastern Pennsylvania, including Lansdale, Hatfield, Blue Bell, North Wales, Souderton, Telford, Newtown, and Quakertown. In fact, our criminal defense practice is the largest in Montgomery County and Bucks County, PA, with a team of seasoned attorneys and support staff. As we work with our clients, we listen attentively to their needs and respectfully communicate with them throughout the process. We also offer expert legal counsel in a warm and compassionate manner from our offices in Newtown and Colmar, Pennsylvania. As we develop your case, we will create a strategy specifically designed for your unique situation. And when it is the appropriate time, we will fight aggressively to preserve your rights. With prestigious honors, such as being recognized as a “Best Law Firm” every year since 2010 by U.S. News & World Report, Rubin, Glickman, Steinberg, and Gifford is trusted and widely respected both by our clients and by the legal community. This gives us a powerful advantage over many other law firms in Pennsylvania. We are AV-Rated by Martindale-Hubbell, a peer recognition indicating that our law firm possesses the highest abilities in multiple areas of law. We have also been recognized by Best Lawyers in America, one of the highest honors an attorney can earn. The legal team at Rubin, Glickman, Steinberg, and Gifford possesses collective skills and experience and offers a unique team approach to your legal problems with the time and resources to give your case the focused attention you deserve. With a combination of big firm resources and small firm personal attention, we provide strong representation in your important legal matter. At the core of our firm’s culture is a passion for protecting and preserving our clients’ constitutional and civil rights throughout Pennsylvania, including Doylestown, Lansdale, Norristown, King of Prussia, North Wales, Ambler, and Telford, PA. We truly care about our clients as they go through the legal process in PA. That is why we stay in regular communication with our clients and respond to phone calls and emails promptly. When you meet with a member of our legal team during your free initial consultation, we will review the details of your case and advise you of your legal rights, what we recommend, and how we would handle your case. We will also discuss a strategy. Additionally, in personal injury cases, there are no upfront costs because we work on contingency. There are no fees unless we recover! We help personal injury victims pursue compensation for medical bills, lost wages, pain & suffering, and other hardships. If you face criminal charges, you need a strong, proactive criminal defense. We also handle appeals from criminal conviction. Planning for the future requires foresight and attention to detail. We will handle your most critical estate planning needs with care and precision. We understand the high personal and financial stakes of cases involving divorce, child custody and other family law issues. Rubin, Glickman, Steinberg and Gifford, P.C. is pleased to announce it has received a Tier 1 ranking in the 2019 Edition of “Best Law Firms” by U.S. News & World Report and Best Lawyers ©. This Tier 1 ranking is determined through a rigorous evaluation process and derived from a combination of client feedback, peer review from leading attorneys in their field, and firm surveys. This is the tenth-consecutive year the firm has received this honor. Best Lawyers is the oldest and most respected peer-review publication in the legal profession.